Pushbullet doesn't provide tens of shortcuts but you already have shortcut keys for most useful features. Just take a look at the short list below. Note: These shortcuts are specific to Chrome extension of Pushbullet. 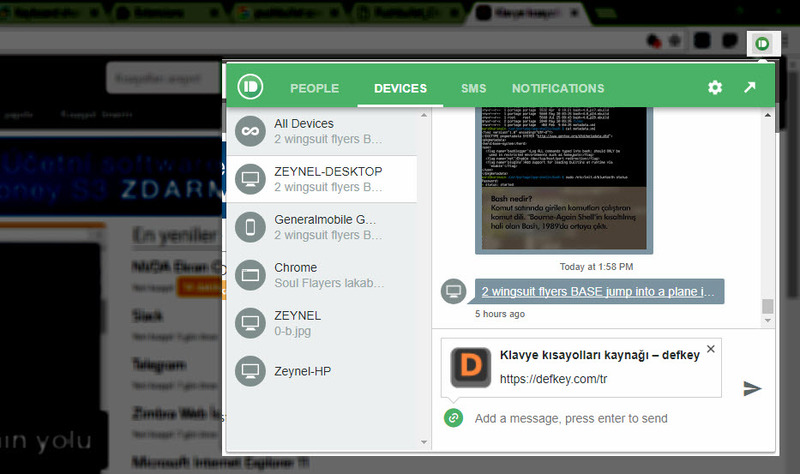 Pushbullet mirrors your smartphone's notifications on your PC. You may also interact with some notifications but this feature isn't free. With Pushbullet you can also share content to your phone from your PC and all your devices it's installed on. Instantly push the current tab (configure in Options). What is your favorite Pushbullet (Chrome extension) hotkey? Do you have any useful tips for program? Let other users know below.